Tax Consultant, Internal Revenue Service Enrolled Agent. Certified Quick books Proadvisor. 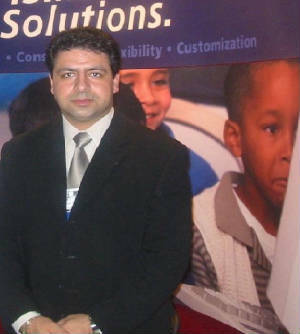 Belash Kalantari Began his accounting career in January 2006. He started the it2modular ( Best American Tax )on May 1, 2006. He is a graduate from University of Baltimore; His extensive back ground comes from director and management level with some of the largest Governmental and educational contract within United State.His responsibility was to develop strategy to grow the business and capture marketshare both demograhically and geographically while maintaining a healthy profit and customer satisfaction and loyalty. Belash constantly introduced a new approaches to increase to both capture new Consumers and maintain the current one satified. After 10 years working with Large enterprise busineses , He is now focusing on helping grow small businesses and entrepenuers develop strategy to start their own ventures. he is now focusing on different industries such as hospitality, technology, healthcare, real estate, mortgage banking service, distribution, and manufacturing businesses . Belash is an incredibly generous individual who deeply cares about others. He has volunteered over 200 hours with Franklin Square Hospital’s cancer research department. He aspires for greater knowledge and excellence in all aspects of his life. He is certified Culinary Chef ( as a Hobby), and Martial Artist in Chinese tien Shan Pei and Shaolin Kung Fu assisting in teaching young teenagers the mastery of self control and harmony. The following are some of the Certifications that Belash has achieved: CQbPA-2008-09, Certified Accounting, AAS Accounting, CSE in security, APP -Digital Imaging, ASP- Main frame, CS-Architict- Power Xtruture, Certified Leadership, BSIT. The following are some of the softwares that we have experience: Microsoft Great plain Accounting software, Legacy Macola software, Quickbooks (all editions), ATX/Klien Rock Tax software, Proseries tax software, Microsoft Sql Server, Server 2003, and programming software such as C++, .Net, PHP, Ruby, Rail, CSS,HTML,XML. Belash is also Enrolled to practice before Internal Revenue Services by United State Treasury . Belash was a member of board of Fairfax County Educational Foundation. Belash now resides in Baltimore, Maryland with his wife and his children.